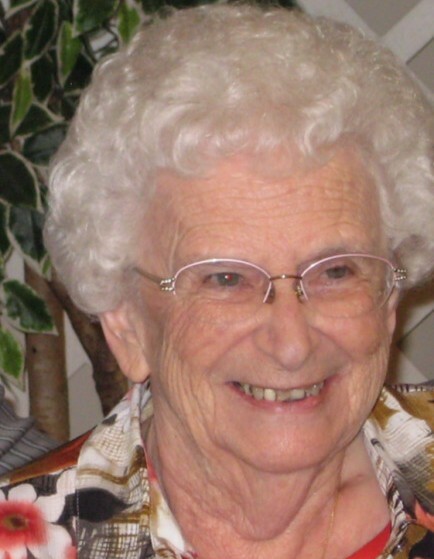 Harriett Esther Harned Talkington, age 90, resident of Memphis, Tennessee and the devoted wife of Lloyd Albert Talkington, departed this life Sunday morning, March 17, 2019 at her residence. Esther was born March 26, 1928 in Pierson Station, Illinois, the daughter of Thaddeus Raymond Harned and Lula Kathleen Crickman Harned. She was a graduate of Hammond High School in Hammond, Illinois, Class of 1947 and was married April 16, 1950 to Lloyd Albert Talkington. She was most recently a resident of Memphis and attended Bethlehem Baptist Church in Rossville. Esther was a homemaker throughout her life and was a member of the Order of the Eastern Star and the Legion Auxiliary. She enjoyed crocheting, making quilts, cooking and special times with her family. In earlier years, she won the state championship in the 4-H competition for sewing. Mrs. Talkington is survived by her husband of almost 69 years, Lloyd Albert Talkington of Memphis, TN. Esther was the loving mother of Gary (Liane) of Blue Island, IL, Paul (Dian) of Collierville, TN and mother-in-law of Merrilee Talkington of Coal City, IL. She also leaves her sister-in-law, Jean Harned of Villa Grove, IL. She was the devoted grandmother of nine grandchildren and many great-grandchildren and great-great-grandchildren. In addition to her parents, she was preceded in death by her daughter, Linda J. Cooper Talkington; her son, Dale Talkington; three sisters, Gertrude Stout, Josephine Jones, Betty Foran; and two brothers, Cliff Harned and Kenny Harned.